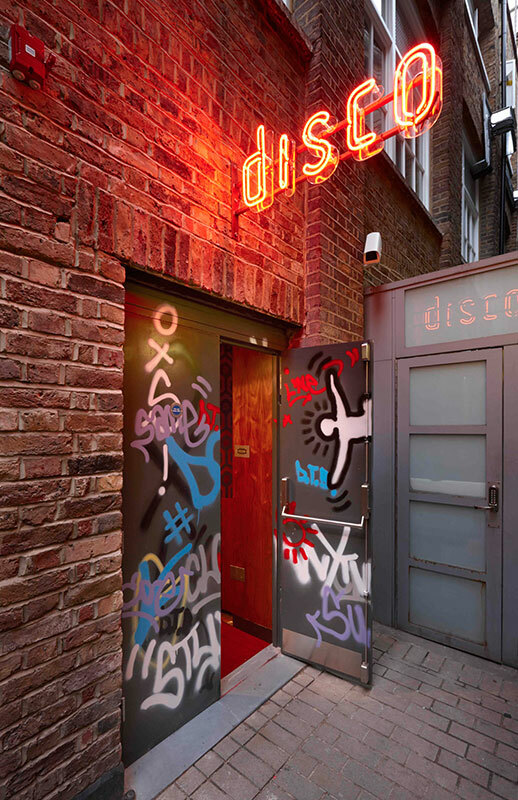 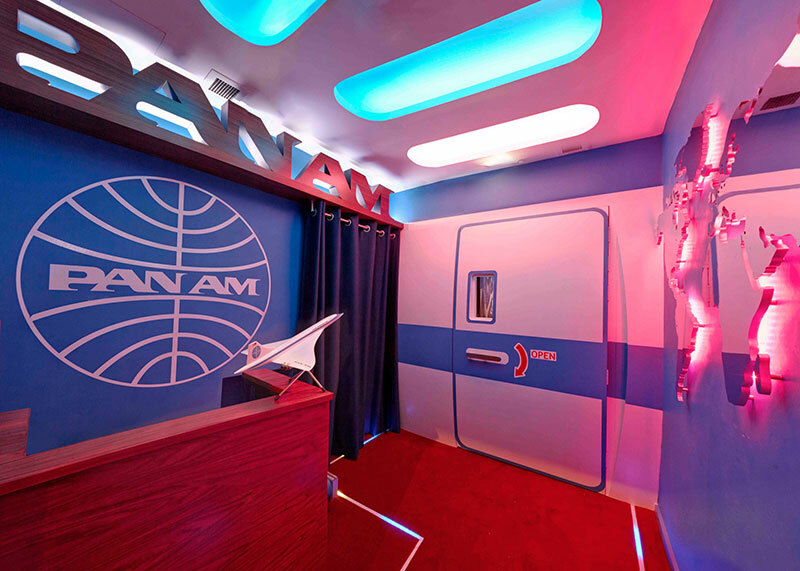 Design wise, Disco showcases a cool and quirky interior, featuring entire walls of retro televisions beaming out music videos and a nostalgic collection of iconic images of revelers from the disco era. 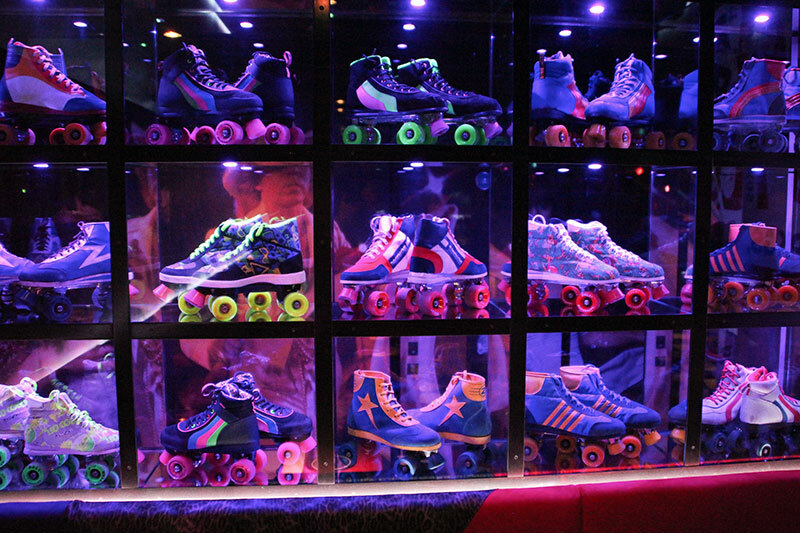 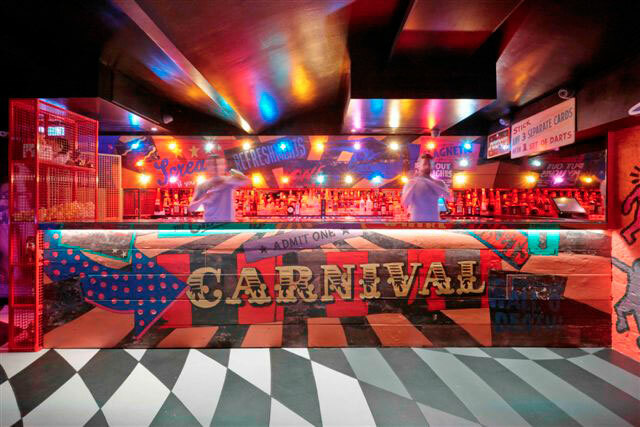 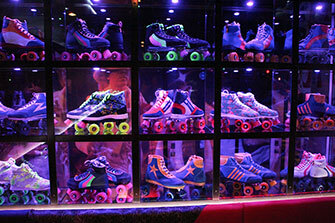 Other walls are adorned by colourful rollerskates, nightlife memorabilia, and the bar is even mocked up to resemble a vintage fairground stall. 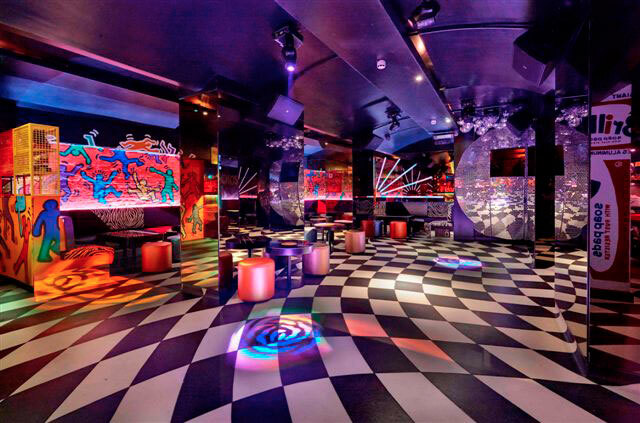 Continues Graham, “We have known of Inception Group for a long time and when Duncan approached us to say they were planning to open a 1970’s retro theme club the prospect sounded exciting, as I know they have a flair for creative design. 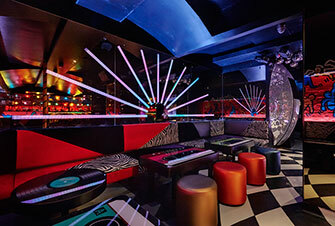 Sound Division looked at the best, and most cost-effective way of highlighting a variety of features, including staircase balustrading, rear wall seating, bar bottle risers and so on with large quantities of LED RGB ribbon tape, but also creating a centre piece ceiling feature over the main staircase entrance. Summing up, Duncan Stirling said, “Both Charlie and I wanted to create a venue that transcends the entire Disco era, and the lighting was obviously a key element in this process.